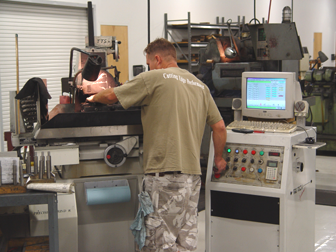 Ostrem Tool Company manufactures and designs tools with exceptionally tight tolerances and dimensional accuracy to achieve the balance and precision required to handle every application. Our wide range of products includes specially designed solid carbide endmills, drills, reamers, form tools, and multi-function combination tools. OTC uses the highest quality carbide grades available to ensure the best possible tool for your application. All tools can be fabricated with coolant-thru functions and other custom features. Various coatings can also be added to meet your specific application. To better service our customers we also provide many expedited delivery options. Typical deliveries range between 20 and 25 working days while typical expedited delivery options can range between 3 and 12 working days.